These are two comments representing two opposite opinions (in Chinese) on a plan announced by China Aerospace Science and Industry Corp (CASIC), the main contractor for the Chinese space program, to start research and design of a futuristic type of hyper-speed train with maximum speeds of 4,000 kilometers (2,485 miles) per hour, four times faster than modern commercial jets can fly. The plan was announced (in Chinese) on August 30 at a summit in Wuhan. The proposed transport system is very much like the futuristic Hyperloop concept suggested by Elon Musk. Combining CASIC’s experience in supersonic flight technology with rail transportation, the CASIC hyperloop is designed to be a maglev line on which pods will travel on partly elevated tubes depressurized to drastically reduce friction. BEIJING/NEW DELHI (Reuters) – China on Wednesday sought to cast its strained ties with India in a positive light ahead of a likely meeting next week between President Xi Jinping and Prime Minister Narendra Modi following their most serious military confrontation in decades. The countries agreed this week to end a more than two-month-old stand-off on their disputed Himalayan border, just in time for the start on Sunday of a summit of the BRICS grouping of nations, which also includes Brazil, Russia and South Africa. 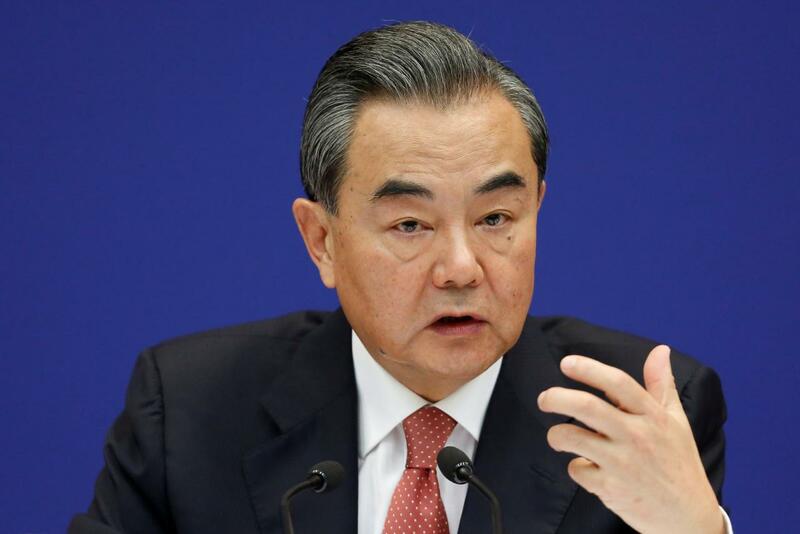 It was normal for the two neighbors to have differences, Chinese Foreign Minister Wang Yi told a news briefing. “What’s important is that we put these problems in the appropriate place, and appropriately handle and control them in the spirit of mutual respect and based on the consensus of both countries’ leaders,” he said. “There is huge potential for cooperation between China and India,” Wang added, without giving details. Xi and Modi are expected to hold talks on the summit sidelines in the southeastern city of Xiamen, officials in New Delhi said. That has raised hopes they will try and repair a relationship that has deteriorated as the two countries find their interests diverge – and often clash – while competing for influence across Asia. Neither country should claim victory after the stand-off, said former Indian foreign secretary Nirupama Rao, an expert on relations with China. Hundreds of troops were deployed on the Doklam plateau, near the borders of India, its ally Bhutan, and China after New Delhi objected to China building a road through the mountainous area. The quiet diplomacy that ultimately ended in de-escalation was based on a principle of stopping “differences becoming disputes” that Modi and Xi had agreed in Astana in June, an Indian official with knowledge of the matter told Reuters. Still, ties remain strained over the disputed frontier and India is deeply suspicious of China’s growing military activities in and around the Indian Ocean. For its part, Modi’s government has upset China with its public embrace of Tibetan spiritual leader Dalai Lama, whom the Chinese regard as a dangerous separatist, and growing military ties with the United States and Japan. China has said its forces will continue to patrol in Doklam, which is claimed by Bhutan. Wang said he hoped India had learned a lesson from the incident. Chinese road construction had stopped and equipment removed, said a second government official in New Delhi aware of the situation. But it was not clear whether China had given an assurance not to resume construction in a territory New Delhi says is too close for comfort for the security of its northeast. India and China have deep historical and cultural links, but relations have seesawed since India lost a brief border war in 1962. Chinese troops have made about 300 transgressions this year into territory claimed by India, the second official in New Delhi said, up from about 225 last year. Media on both sides kept up a nationalistic drumbeat during the recent crisis. Ties between the two appeared to be heading to a “breaking point”, with neither backing down from its own nationalist agenda, said one Beijing-based Western diplomat, speaking on condition of anonymity. “From where India sits, it looks like China is trying to encircle them,” the diplomat added. Still, the peaceful end to the Doklam stand-off was a positive sign, Mao Siwei, China’s former consul general in India’s eastern city of Kolkata, told Reuters. “This is top leaders from both countries withstanding extreme domestic nationalist sentiment to come to a sensible decision,” said Mao, who is now retired. Additional reporting by Ben Blanchard and Christian Shepherd; Writing by Tommy Wilkes and Ben Blanchard; Editing by Clarence Fernandez. India must be praised that it withdrew its troops from Doklam on its own while Chinese border troops keep on their patrols there according to Chinese Foreign Ministry spokeswoman Hua Chunying at the ministry’s routine press conference. Hua reiterated that Chinese border troops were continuing their patrols in the area. There has indeed been much speculation that the standoff there will lead to a war, but I predicted in my post that there would not be a war as Chinese leaders are not so stupid as to start a war with India (see my posts “China Stupid if It Started a Border War with India” on August 12 and “China Wise to Find Peaceful Solution to Border Standoff with India” yesterday). However, there remains the question whether India wants to start a war with China to retaliate its defeat in 1962. The answer is clear to everyone. No, India dare not do so. Its defeat has made India living in constant fear of Chinese attack. That is why in spite of its lack of financial resources it has been conducting an arms race with China and kept on boasting its military strength to ease its own fear but scare no one. Good neighborly relations may bring lots of benefits to both India and China; therefore, if China starts and wins one more war with India, it will only enhance India’s fear which remains so strong after decades of India’s defeat The war will make it even more difficult to restore the mutual trust between the two great nations that prevailed for years before India’s defeat. The peaceful solution of the border standoff proves that both India and China have wise leaders now. India and Pakistan have both joined China- and Russia-led Shanghai Cooperation Organization, which proves their desire for win-win cooperation within the organization. I believe through China and Russia’s efforts, India may overcome its fear of China and enmity against Pakistan and become China and Pakistan’s friends. After all win-win cooperation is much better than tension and war. A very simple and clear example is the construction of oil and gas pipelines through Pakistan to enable India to have easy and safe access to oil and gas from the Middle East. If India maintains its high growth rate, it may become world’s top importer of oil and gas. In my post “China Stupid if It Started a Border War with India” on August 12, I said that China and Pakistan’s “Iron Buddy” relationship and the China-Pakistan Economic Corridor regarded by China as a key project in China’s Silk Road economic belt initiative makes India fear that it is encircled by China and Pakistan, its long-term enemy. To counter the encirclement, India wants to establish close ties with the US and Japan and hopefully the combined navies of the three nations may encircle China and Pakistan in the Indian Ocean. A modern war is fought for achieving a political goal which we regard as the strategic goal of a war. A country is a loser in the war if it wins the war without attaining its strategic goal but it is the winner if it attains its strategic goal even though it loses the war. From that we see Indian Prime Minister Modi’s shrewdness. He knows well that India army is no match to Chinese army but he provoked China to fight and win a war with India so that he may attain the goal of developing close alliance with the US and Japan to counter-encircle China and Pakistan in the Indian Ocean. China’s strategic goal must be resolution of its border dispute with India to turn India into its friend instead of enemy. China has been making great efforts in doing so. What can China attain even if it wins a border war with India now? It will turn India into its dead enemy if the war is a large-scale one like the countless border wars between France and Germany that gave rise to the two world wars. Therefore, I said that China is stupid if it start a border war with India as China will get the opposite of its strategic goal while enable India to attain its strategic goal. True enough, according to Reuters’ report “India and China agree to end border standoff”, the two nations have found solution to their border standoff and will both retreat. India sent its troops to provoke China and China responded by sending troops there. Now India agrees to withdraw its troops so that China can withdraw hers. Chinese leaders are wise enough to avoid military conflict with India in spite of India’s provocation. NEW DELHI/BEIJING (Reuters) – India and China have agreed to an “expeditious disengagement” of troops in a disputed border area where their soldiers have been locked in a stand-off for more than two months, India’s foreign ministry said on Monday. The decision comes ahead of a summit of the BRICS nations – a grouping that also includes Brazil, Russia and South Africa – in China beginning on Sunday, which Indian Prime Minister Narendra Modi is expected to attend. Indian and Chinese troops have been confronting each other at the Doklam plateau near the borders of India, its ally Bhutan, and China, in the most serious and prolonged standoff in decades along their disputed Himalayan border. The Indian ministry said the two sides had agreed to defuse the crisis following diplomatic talks. “In recent weeks, India and China have maintained diplomatic communication in respect of the incident at Doklam,” the ministry said in a statement. “On this basis, expeditious disengagement of border personnel at the face-off site at Doklam has been agreed to and is on-going,” it said in a statement. It did not offer more details of the terms of disengagement from the area which had raised fears of a wider conflict between the Asian giants who fought a brief border war in 1962. “China will continue to exercise sovereignty rights to protect territorial sovereignty in accordance with the rules of the historical boundary,” she said. The Chinese defense ministry said troops would remain on a state of alert. “We remind the Indian side to learn the lesson from this incident, earnestly respect the historical boundary and the basic principles of international law, meet China half way and jointly protect the peace and tranquillity of the border region,” spokesman Wu Qian said in a statement. “The world is not peaceful, and peace needs to be safeguarded. The Chinese military has the confidence and the ability to protect the country’s sovereignty, security and development interests,” Wu added. The trouble started in June when India sent troops to stop China building a road in the Doklam area, which is remote, uninhabited territory claimed by both China and Bhutan. India said it sent its troops because Chinese military activity there was a threat to the security of its own northeast region. But China has said India had no role to play in the area and insisted it withdraw unilaterally or face the prospect of an escalation. Chinese state media had warned India of a fate worse than its crushing defeat in the war in 1962. Indian political commentator Shekhar Gupta said there was too much at stake for the two countries to fight over a small piece of territory. “Hopefully, Doklam is a new chapter in India-China relations. Too much at stake for both big powers to let legacy real-estate issues linger,” he said in a Twitter post. India and China have been unable to settle their 3,500-km (2,175-mile) frontier and large parts of territory are claimed by both sides. Lin Minwang, an India expert and the deputy director of the Center for South Asia Studies at China’s Fudan University, said the detente would ensure a smooth BRICS meeting. Thus, as time goes on, the Pentagon will have to invest more to ensure America retains its superiority in space. However, he points out the seemingly insurmountable obstacles including Philippine constitution and popular nationalism so that former Philippine President Gloria Arroyo failed in her attempt for such sharing. Mr. Heydarian fails to see that situation is different now. Before Philippines’ failure to get its ally’s help in countering China in the Scarborough standoff and imposing Hague arbitration award, the Philippines still has the illusion that with the help from China’s rival and its long-term ally the US, it can be benefited from the resources in the disputed waters fully alone. Now, without Chinese consent, it cannot even exploit the fish resources in the disputed waters claimed by it. It simply cannot exploit the energy resources without cooperation with China, but China has the technology, equipment, funds and military strength to exploit the resources alone without any sharing with other claimants. What if China extracts all the resources alone? No one can help the Philippines to prevent that. Neither the US, ASEAN or the permanent court of arbitration at the Hague can. Therefore, the Philippines has no alternative but share the resources with China or it will get nothing. 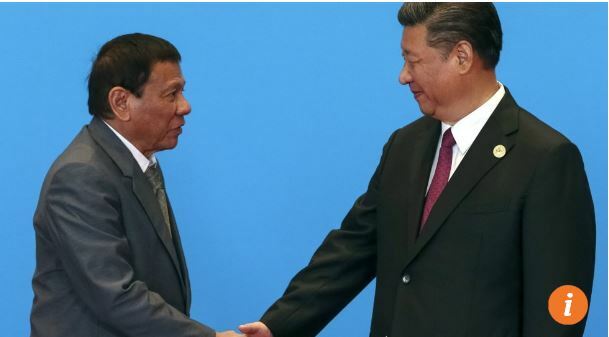 Its current president Duterte is wise to see that, but his people perhaps do not realize that and would rather give China the opportunity to enjoy the resources entirely alone. Comment by Chan Kai Yee on SCMP’s article, full text of which can be found at http://www.scmp.com/comment/insight-opinion/article/2108202/willingness-explore-resource-sharing-points-cooperative. The country shows off new infantry-fighting vehicles. It’s not like every defense contractor in the world can boast of its own fleet of tanks. Here, a platoon of VT-4 main battle tanks leads the parade for Norinco’s annual 2nd Armor Day. Last week, China’s dominant fighting vehicle manufacturer, China North Industries Corporation (Norinco), displayed a bevy of export armored vehicles as part of its Armor Day celebrations. These festivities, now in their second year, laud the power of Chinese military and offer an occasion to show off to senior foreign military officers, who were likely there as potential buyers. The day began with a parade of armored fighting vehicles, led by the VT-4 main battle tank, which has already found a repeat buyer in the Royal Thai Army. Spotted: usual suspects like the VT-4 main battle tank, VT-5 light tank, and VN-12 IFV, as well as several new Chinese systems and fighting vehicles. The star attraction was the GL-5 hard-kill active protection system (APS), which destroyed a guided missile attacking a tank in a live fire exercise. The GL-5 system consists of four radars and fixed projectile launchers, which are attached to a tank turret for 360 degree coverage (each launcher covers a quadrant). The radars pick up incoming enemy rockets, missiles, and shells, causing the computer to select a munition and fire it. Each munition is capable of destroying incoming munitions at a range of 33-39 feet. The use of fixed-launcher, radar-guided munitions in an APS mirrors the hard-kill portion of the Afghanit APS on the Russian T-14 Armata tank. 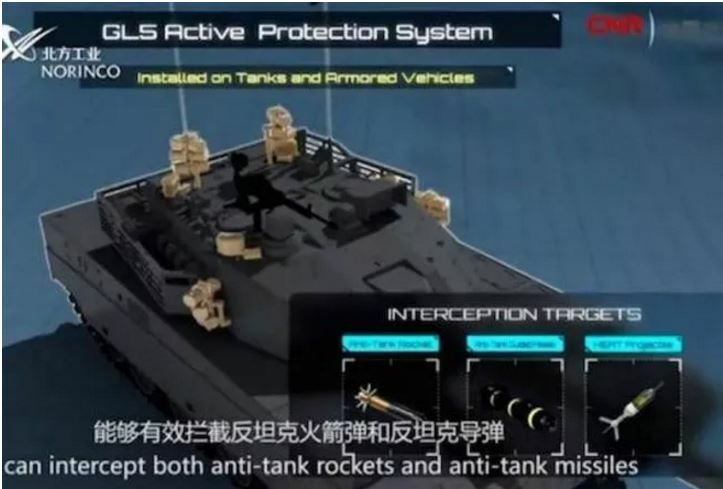 As the GL-5 is an export-only version, the Chinese military is likely to field a more advanced version to protect its tanks, which could be comparable to the U.S. Quick Kill and Israeli Iron Fist and Trophy systems in terms of coverage, range, and fire volume. The new VN-17 infantry-fighting vehicle (IFV) uses a heavily modified version of the 33-ton VT-5 light tank’s chassis. 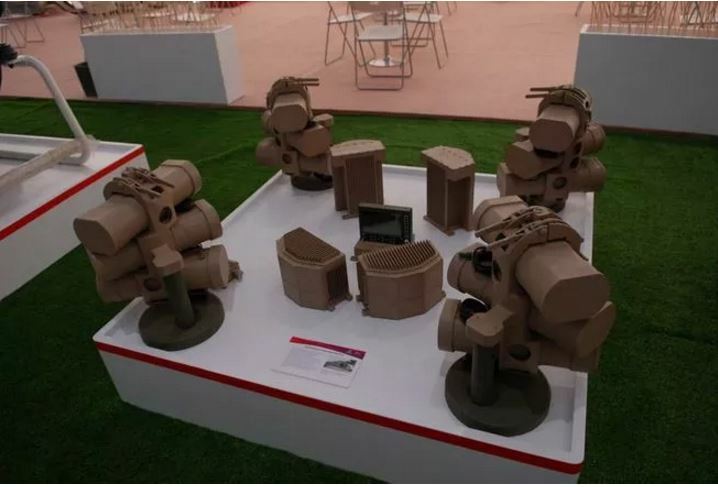 It has an unmanned (read: remotely controlled) turret with two large, multi-lens electro-optical and infrared sensors (one each for the gunner and commander). Those sensors come in handy when the system needs to use its 35mm cannon, 7.62mm machine gun, or medium-range HJ-12 anti-tank missiles. The VN-17 is also well protected, with reactive armor on the lower front hull, and significant side-skirt armor alongside its tracks. All this, plus its capacity to carry seven infantry, makes it likely in the 30-35 ton weight class. It shares some similarity with the People’s Liberation Army’s mysterious new infantry-fighting vehicle, which will reportedly have an unmanned turret, augmented displays for crew helmets, and a hybrid-electrical engine for fuel efficiency and stealth. In terms of armament, protection, and sensors, both the VN-17 and the unnamed PLA IFV compare quite favorably to the U.S. Army’s M2A3 Bradley IFV. 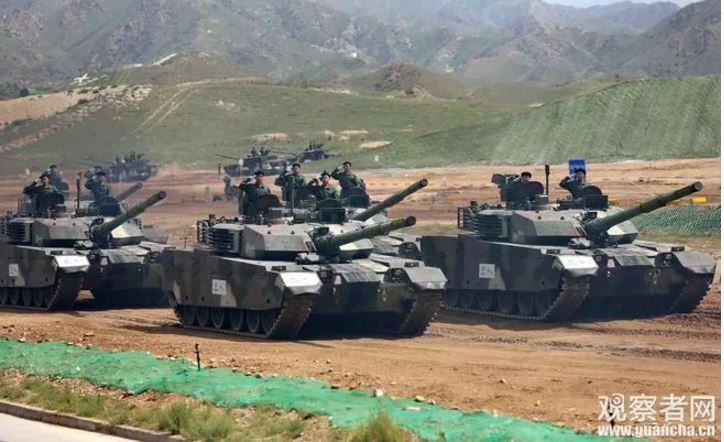 But unlike the 35-year-old Bradley, China’s brand new battle taxis have plenty of margin to grow into future upgrades like more advanced armor, better weapons, APS, sensors, and deploying unmanned partners. The ZTZ-59 tank, a 60-year workhorse copied off the Soviet T-54 tank, got a new lease of life in the form of a heavy IFV (or HIFV). The HIFV mod weighs about 40 tons and can carry up to seven passengers. So what new tricks has the old dog learned? Modifications include moving the engine to the front of the vehicle chassis, increasing tank armor on all sides, and installing a rear door for dismounting infantry. Its 105mm cannon and the entire turret have been replaced with a much smaller turret consisting of a 30mm autocannon, a searchlight, and electro-optical sensors. The HIFV’s bulky, all-aspect armor would make it well suited for either urban combat or high-end warfare in open environments. Likely customers could be existing T-54/T-55 buyers in the Middle East, particularly those looking for armored vehicles to fight insurgents in urban environments. 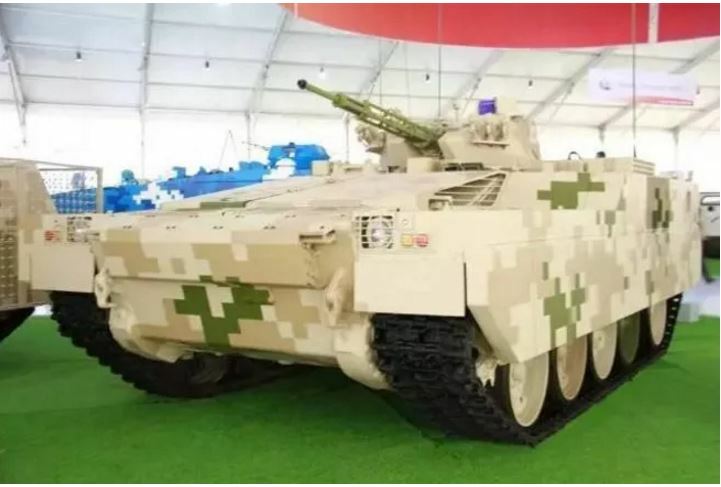 Its likely that Norinco could develop HIFV versions of heavier, modern tanks like the VT-2 and VT-4 to offer more high-end mechanized infantry solutions for future customers, including the People’s Liberation Army. These competitive NORINCO offerings add credence to the U.S. Defense Department’s 2016 report on the Chinese military, which stated that Chinese military industry was offering “world-class” ground systems. Notably, the increase in quality of Chinese weapons also means a corresponding increase in price; the RTA purchased 10 VT-4 main battle tanks for $58 million in 2017. 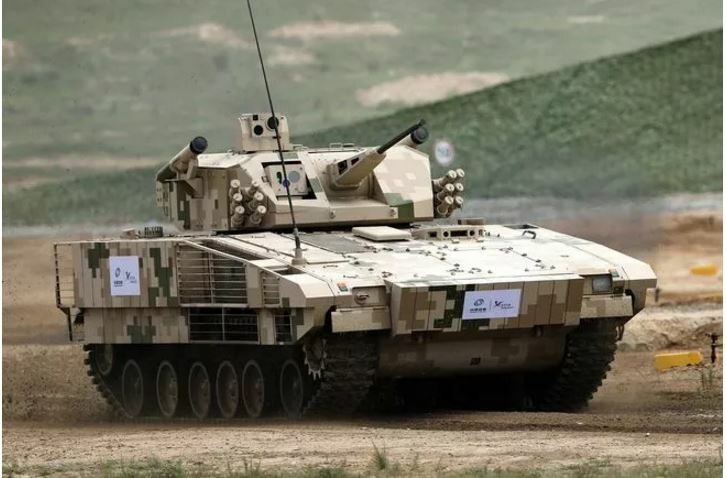 While Norinco’s Armor Day showcased impressive fighting vehicles aimed at the export market, the PLA will likely take delivery of even more advanced versions in the years to come. Note: This is Popular Science’s article I post here for readers’ information. It does not mean that I agree or disagree with the article’s views.